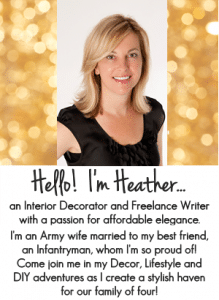 Favorite Painting Tips and Tools for Interiors – I believe one of the easiest and least expensive ways to decorate with the BIGGEST impact is with paint! Wether it’s painting walls or furniture, paint can refresh a dull room and revive an outdated piece of furniture quickly. 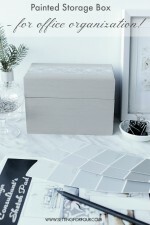 I’m about to paint our guest room and office soon and I’ve been looking through all kinds of paint chips and making mood boards to lay out a plan for how I want my rooms to look! 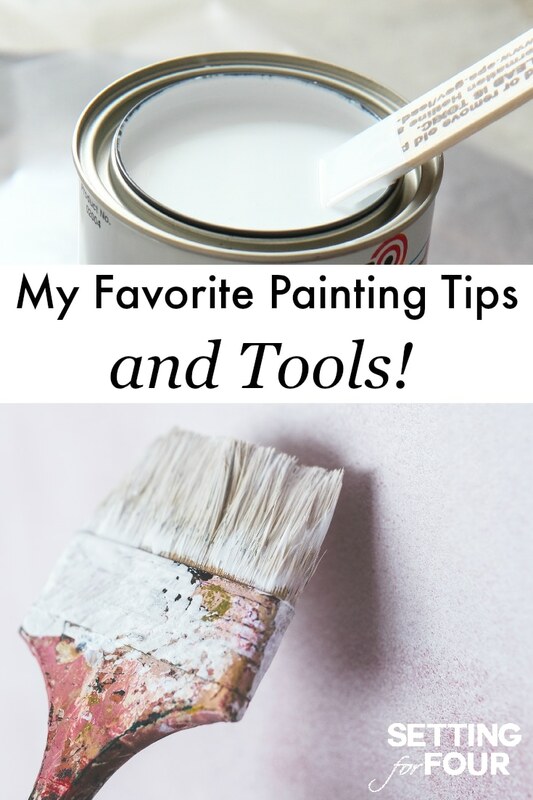 I wanted to pass on to you some of my all time favorite painting tips and tools today! 2. 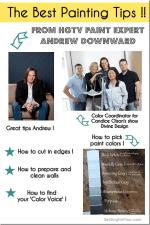 How to paint tile in 3 EASY STEPS using the best paint for tile and NO SANDING REQUIRED! 3. The SECRET to touching up wall paint with NO MESS using this clever tool! No more cleaning brushes! 5. 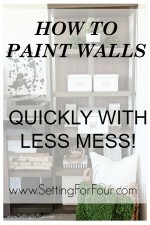 How to Paint Walls Quickly with Less Mess and NO ROLLER TRAYS! 6. 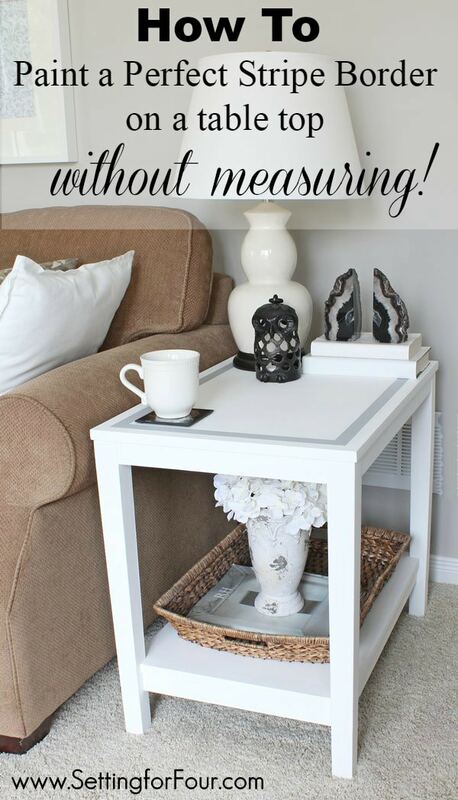 How to paint a striped border on a table without measuring! This tutorial show you the secret trick I use to make a perfectly even striped border on a table or wall without any measuring! 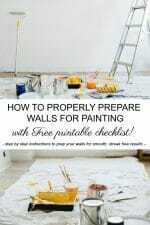 FREE CHECKLIST HOW TO PREPARE A ROOM FOR PAINTING! As a military wife who has moved a lot and painted MANY rooms I’ve figured out the QUICKEST way to paint a room with the most gorgeous results! I also figured out how to get my painted walls smooth and streak free! You want your painted walls to look beautiful too right? As with most things preparation is a definitely a key step when it comes to painting a room! 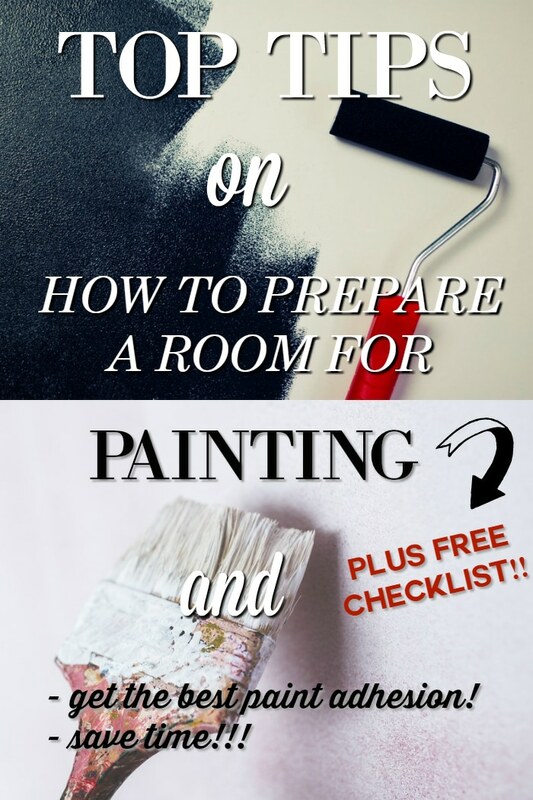 See 12 essential tips on how to prepare a room for painting – save time, ensure proper paint adhesion and fast forward to the actual painting so you can enjoy your newly painted room as quickly as possible! 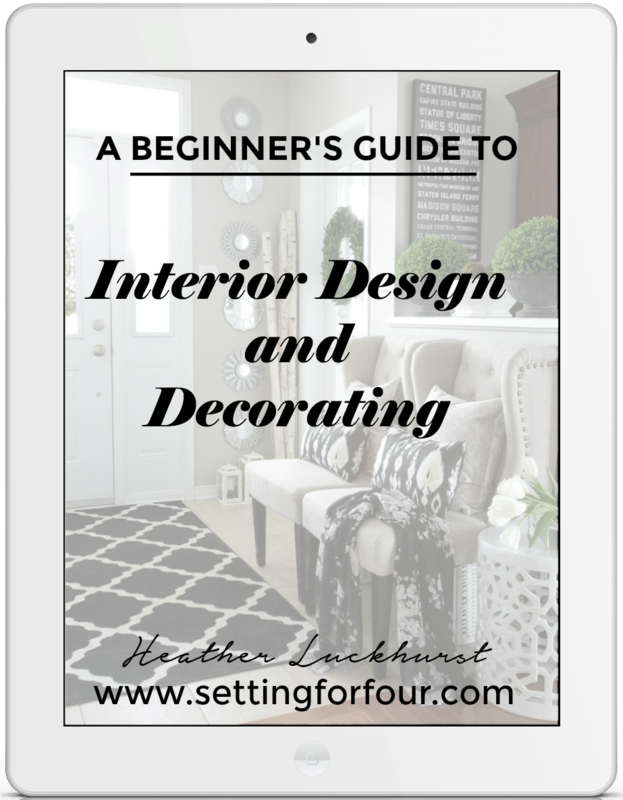 Get your FREE ‘How to Prepare a Room for Painting Checklist’ to print off and keep in your home binder or with your paint supplies! It lists the best supplies you need for your paint job and keeps you on track as you check each step off as you go – so you save time, get the best paint adhesion and blitz through the painting process. Now you can enjoy your newly painted room as quickly as possible. 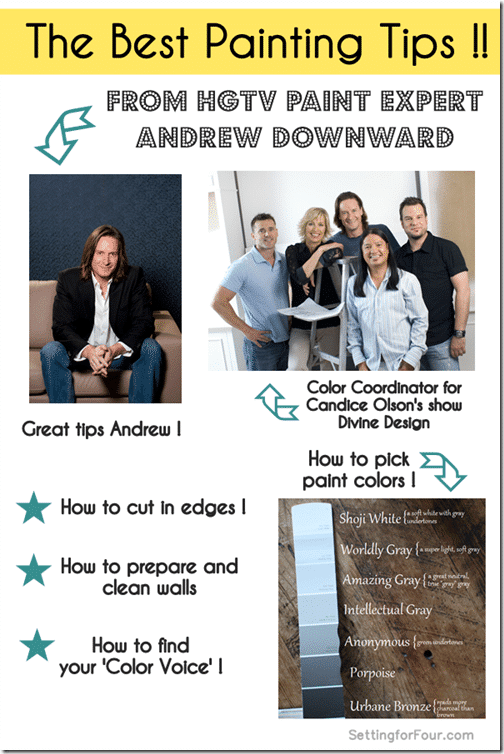 Get your FREE Painting Prep Checklist now! 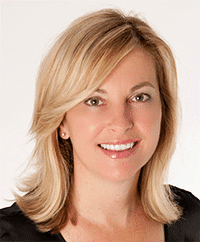 The link to the FREE painting checklist will be emailed to you after you use the form! I hope you enjoyed this painting tips post! I just discovered you via Pinterest! I’m looking forward to checking everything out, thank you!